Flüeli Ranft is a historical and important village for Switzerland, as the patron saint of the country comes from this place. 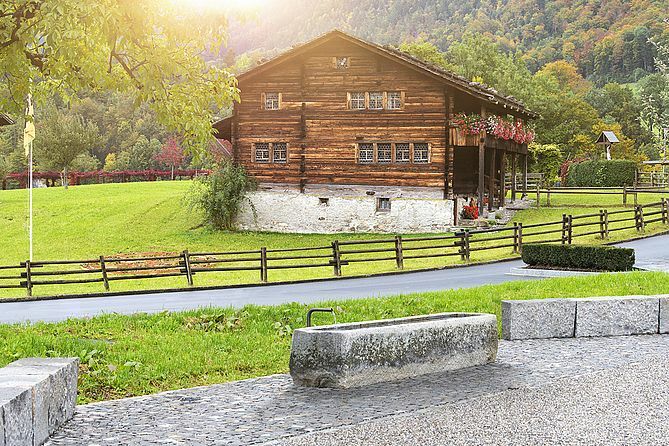 In 2017 the Swiss celebrated the 600th anniversary of Saint Brother Klaus. 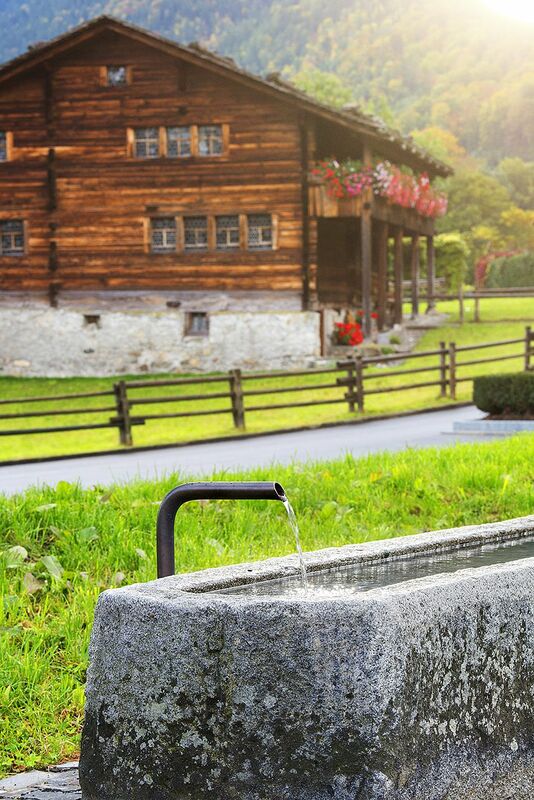 On this occasion our company had the privilege of delivering an exclusive fountain into the internationally known pilgrim village. 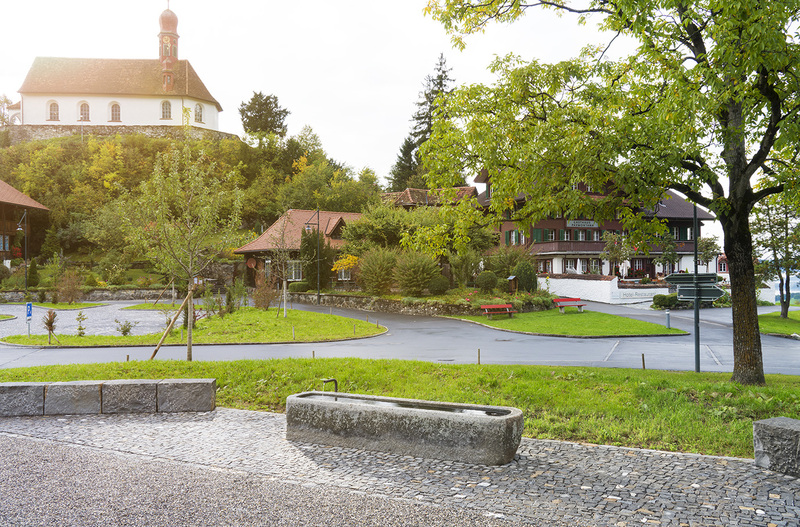 In celebration of the anniversary, a new fountain was placed in this historical village. This fountain used to be a wood well, however it had to be replaced many times due to age-related damage. 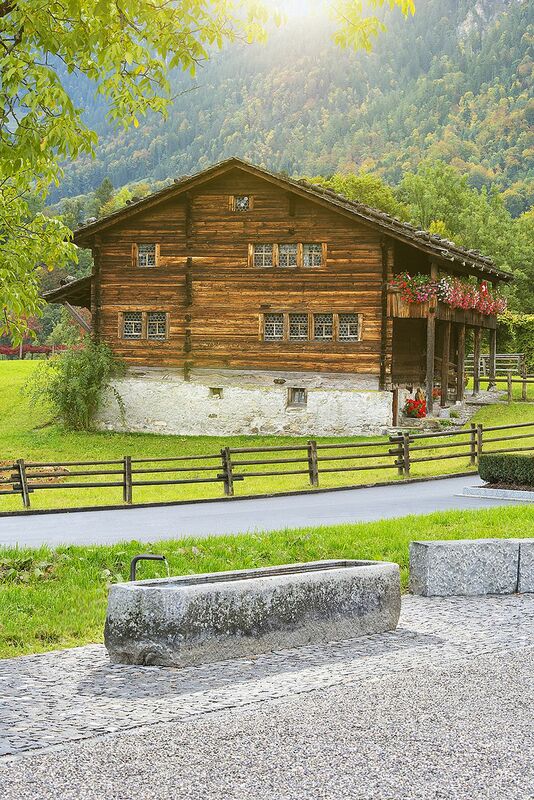 The Gremium made the decision to place an antique granite fountain from Valais (Southern Switzerland, Matterhorn Region), as according to Saint Brother Klaus it should express simplicity. The fountain is narrow and has an impressive length of 120 inches (3m). This again is reminiscent of the National Patron Saint, who lived more than 20 years without solid food.